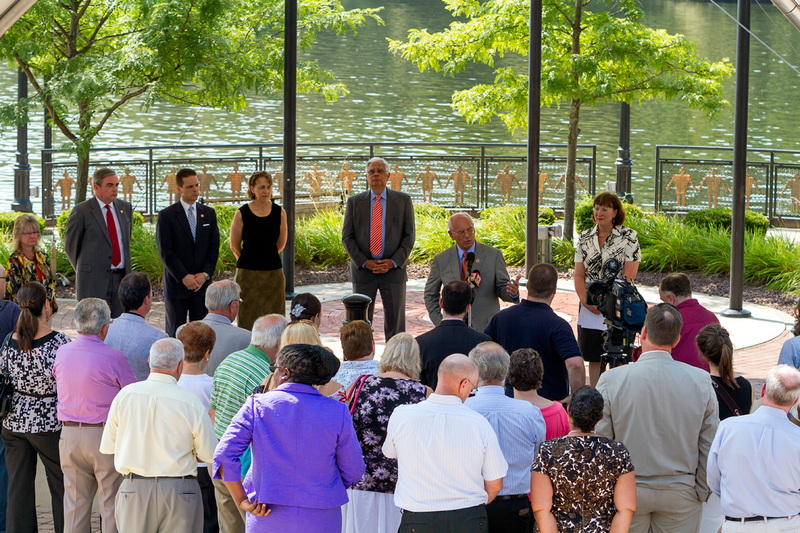 A formal acknowledgement of accomplishment celebrating the conceptualization, design and implementation of Riverlink Park, is what the email invitation described. 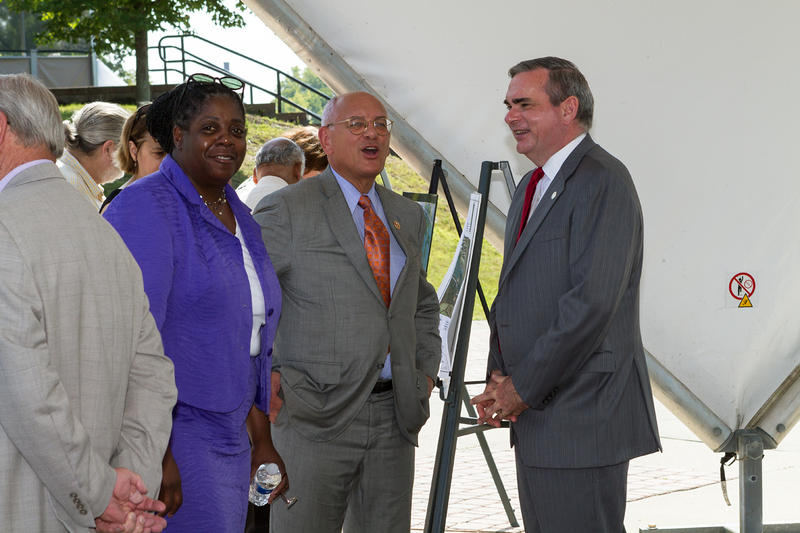 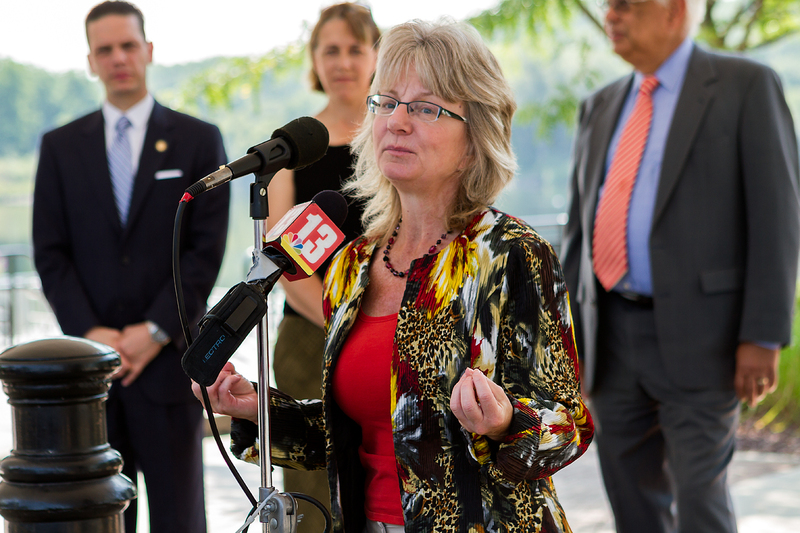 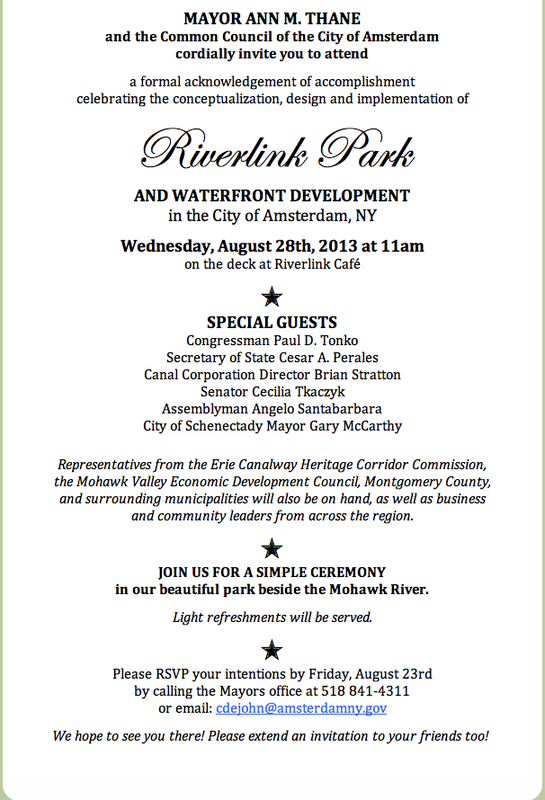 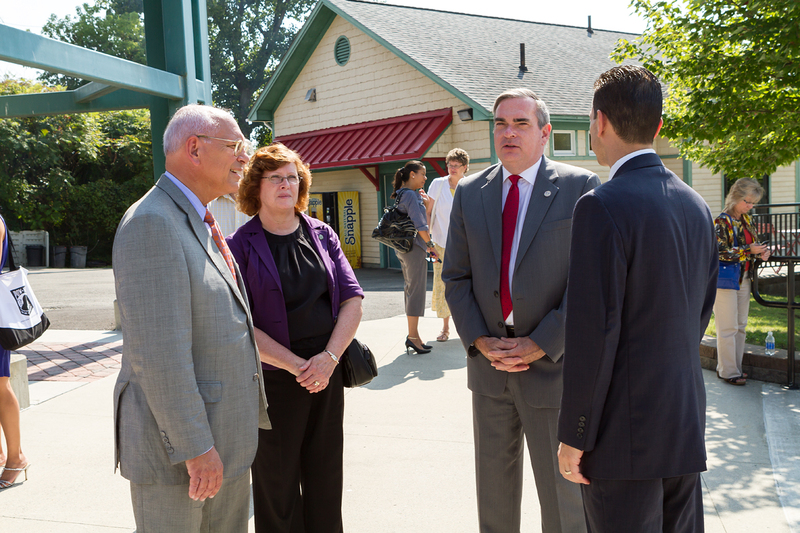 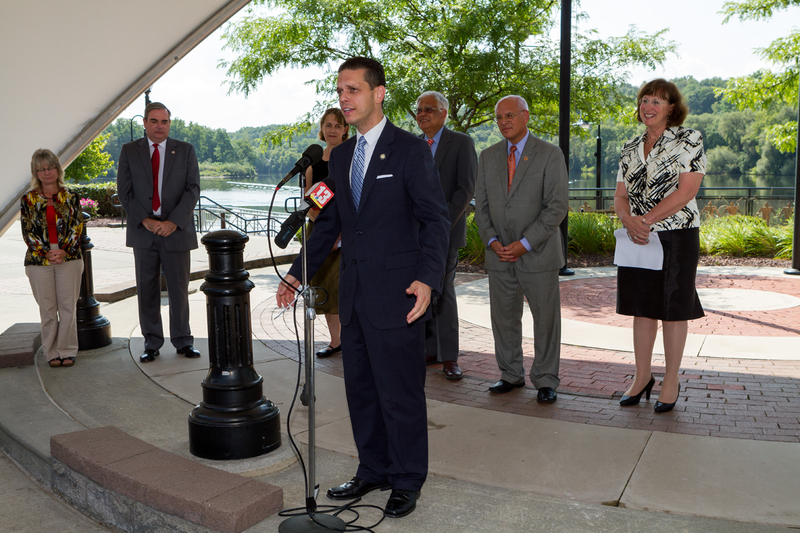 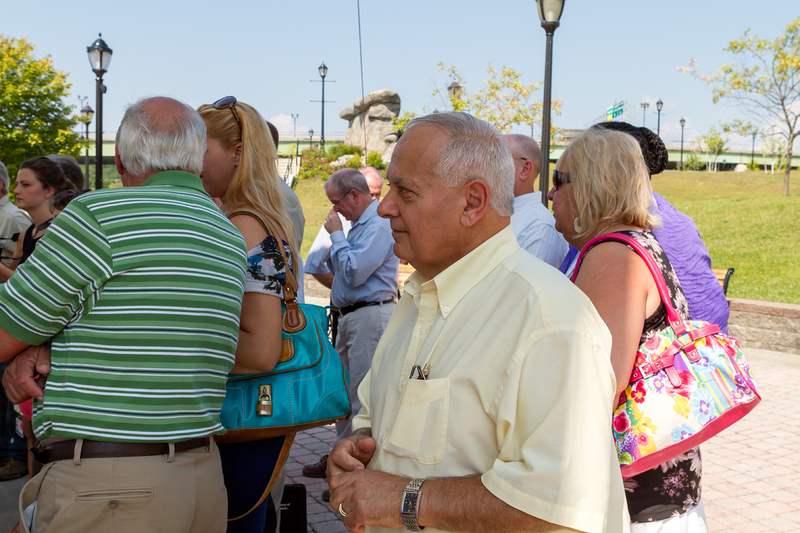 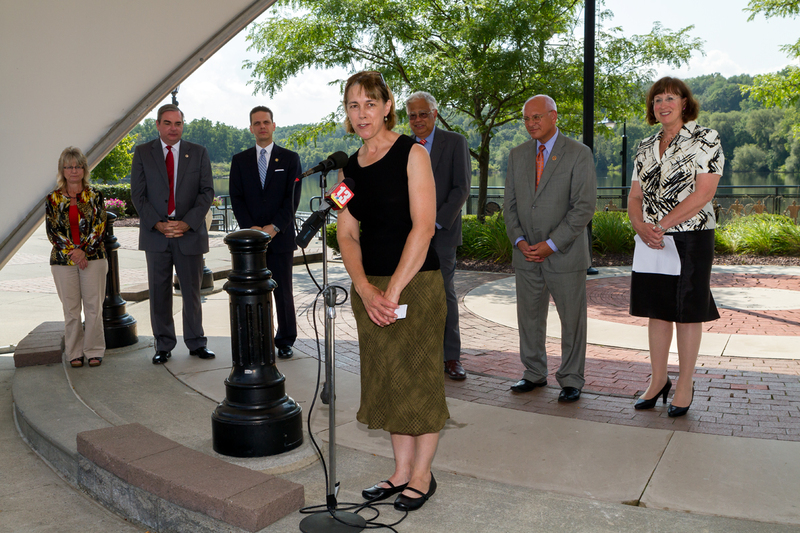 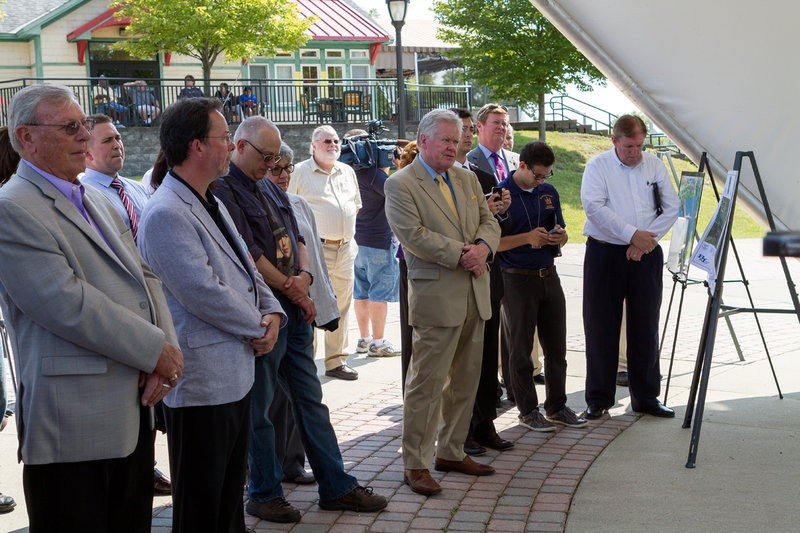 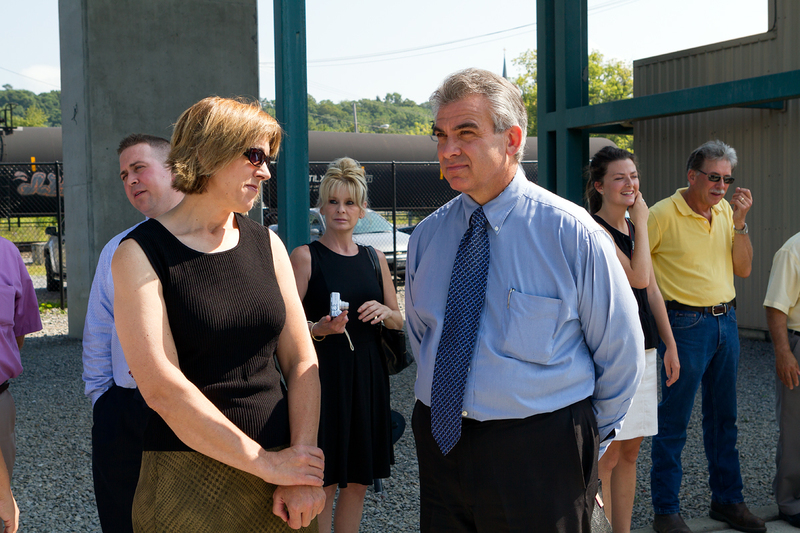 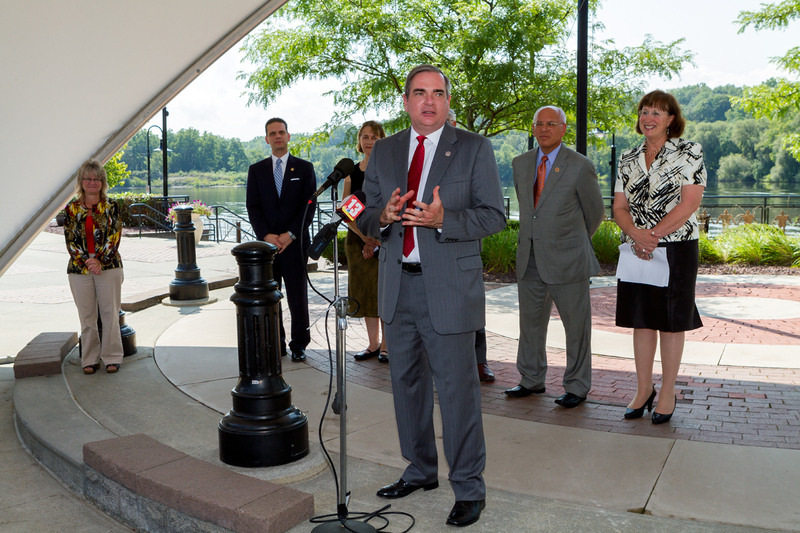 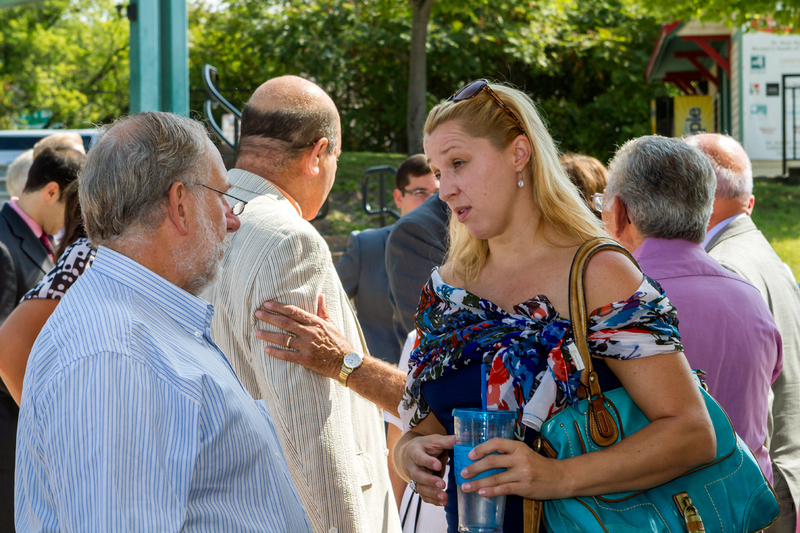 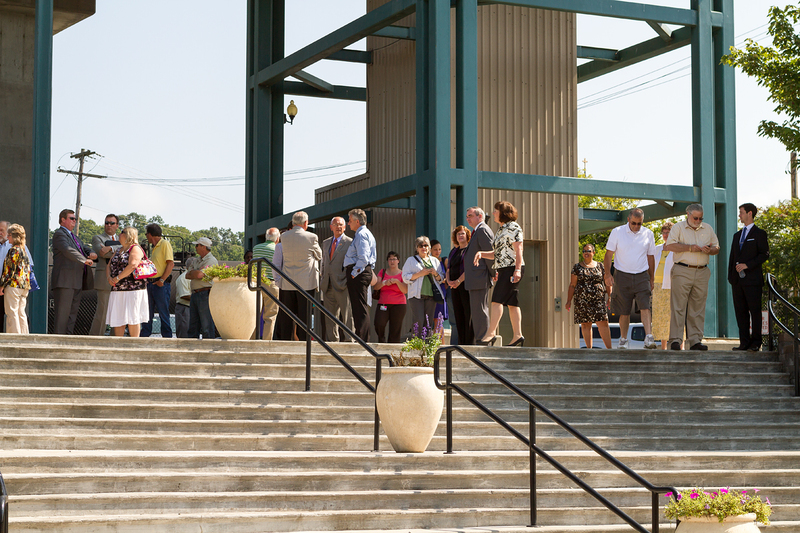 On Wednesday, August 20, 2013, at 11am, elected officials and representatives from local organizations celebrated the fruition of 30 years of planning and development resulting in Amsterdam, New York’s beautiful Riverlink Park. 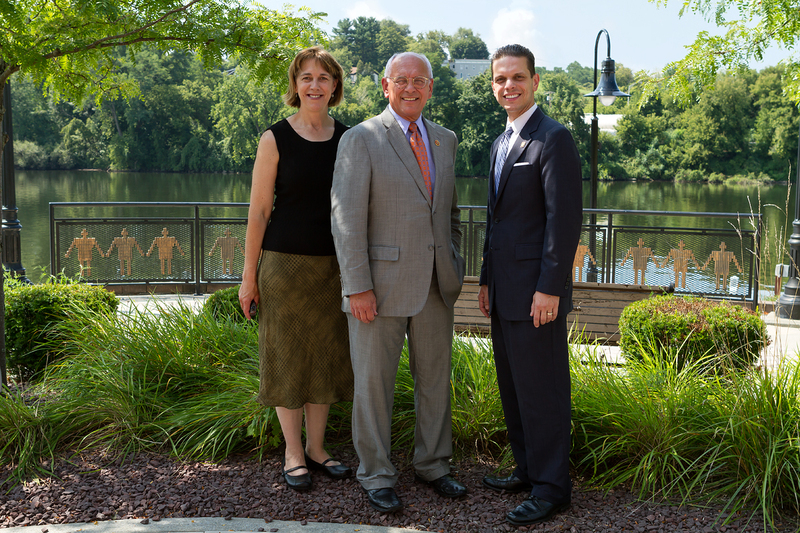 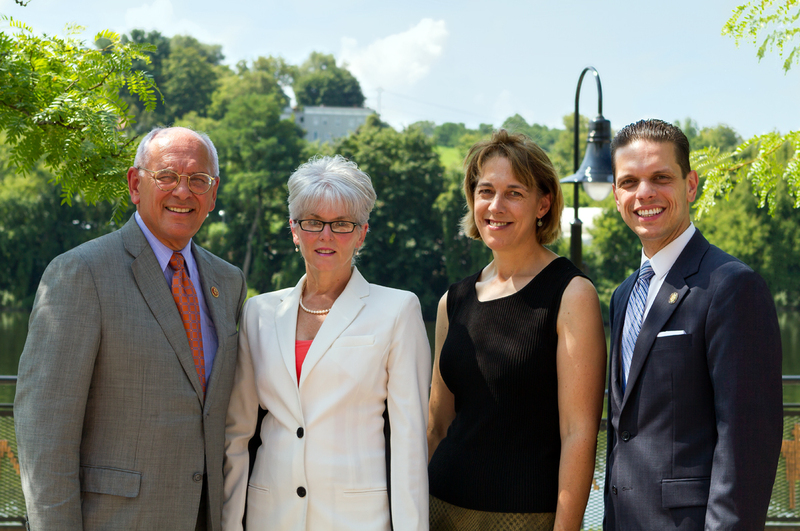 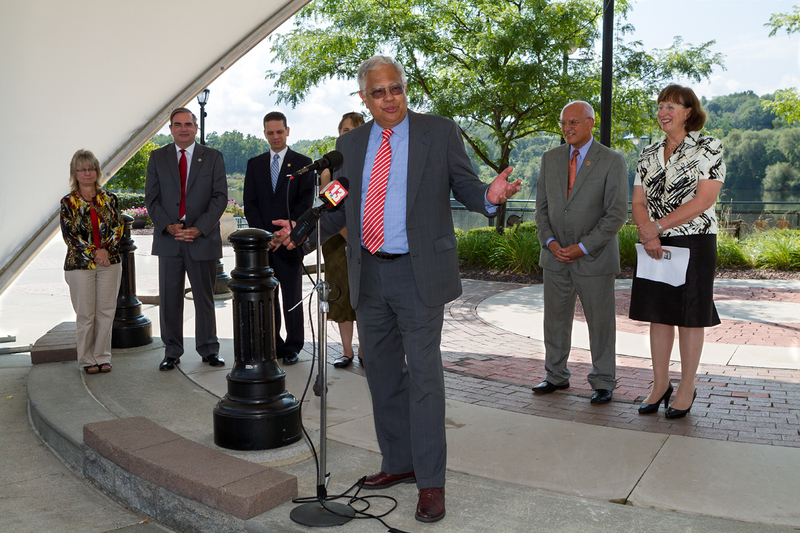 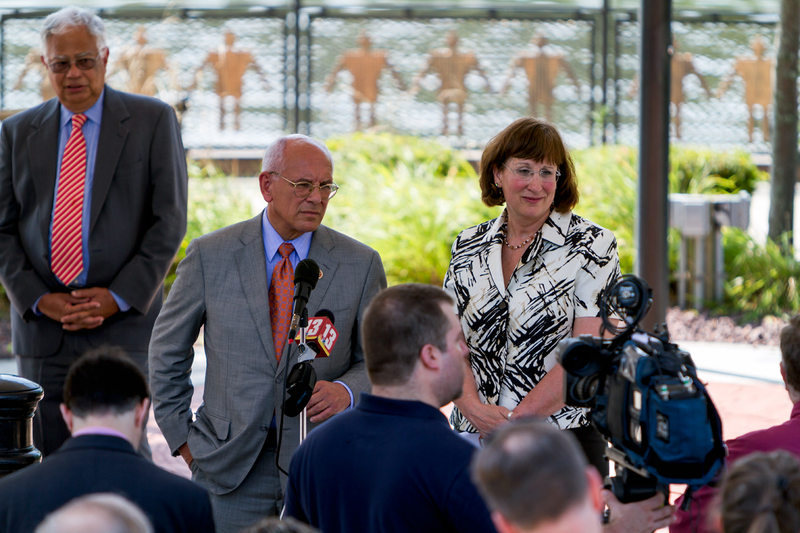 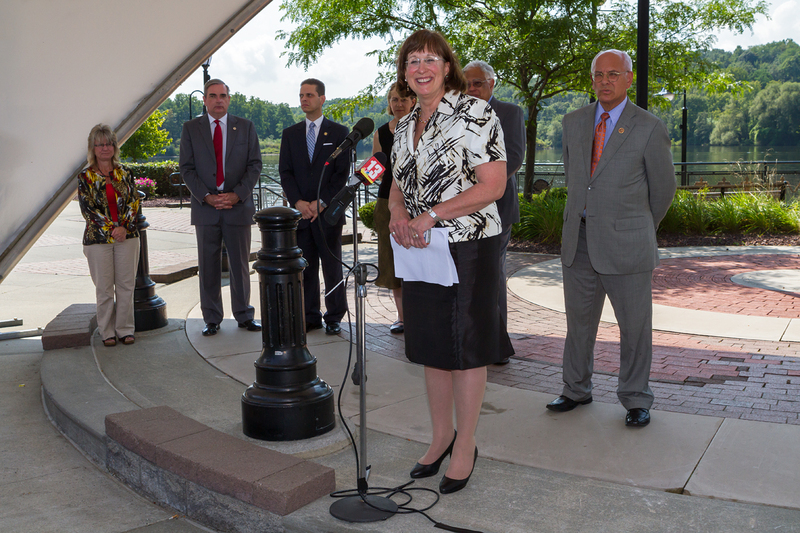 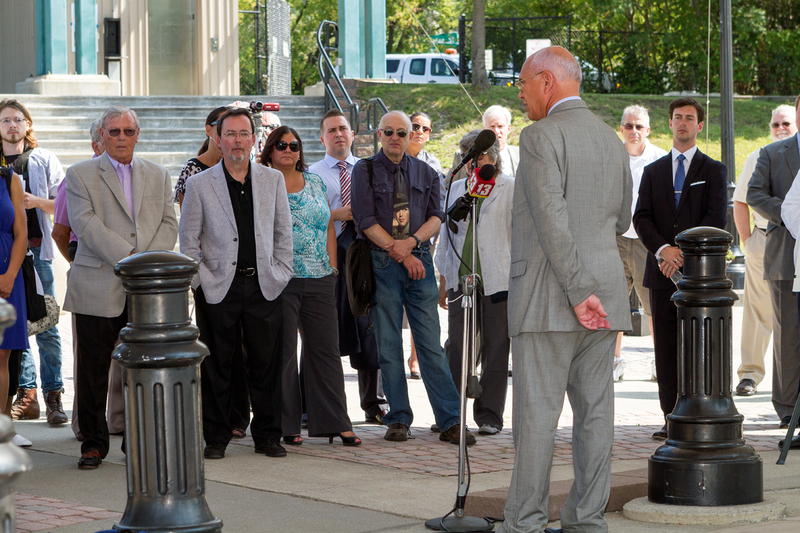 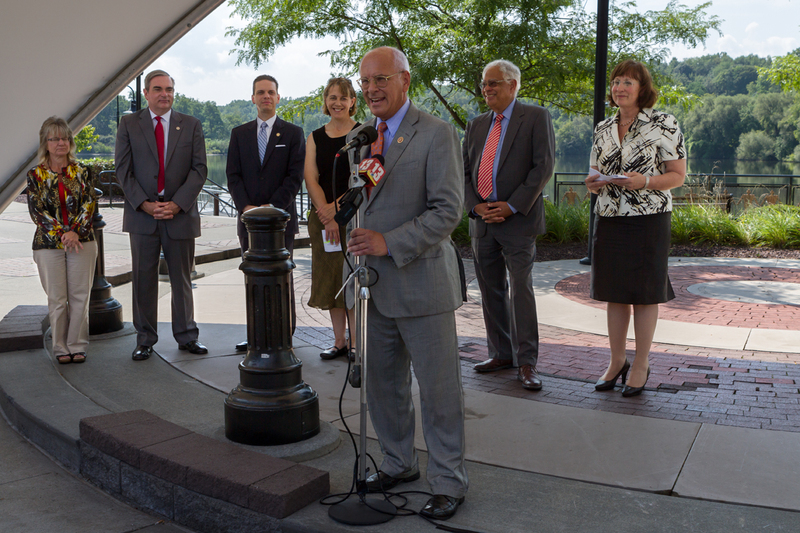 Like proud parents seeing their child off to college, Congressman Paul Tonko and Amsterdam Mayor Ann Thane were beaming with smiles as they talked about the hard work involved in turning a brownfield contamination into the Jewel of the Mohawk River. 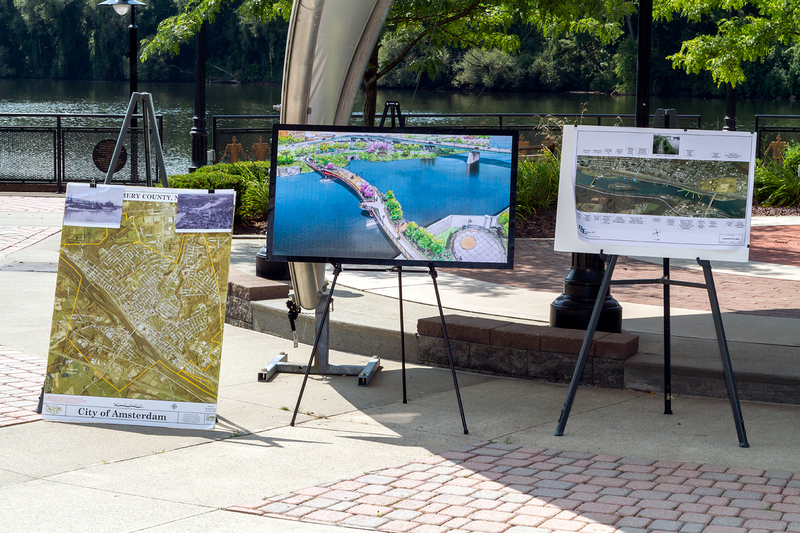 Phase one and two of the park development are complete and soon phase three construction will begin. 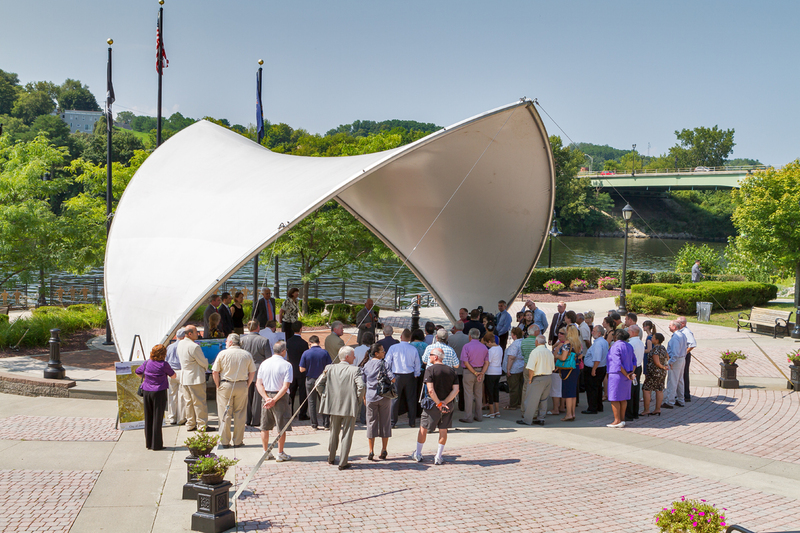 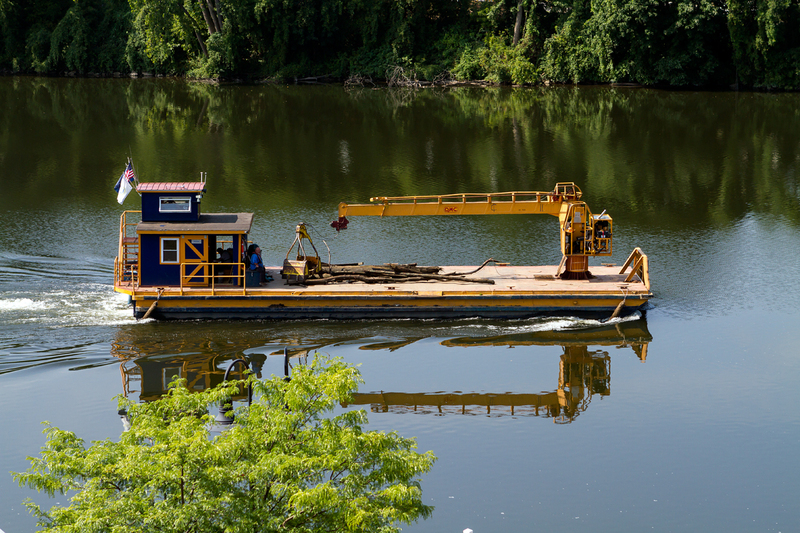 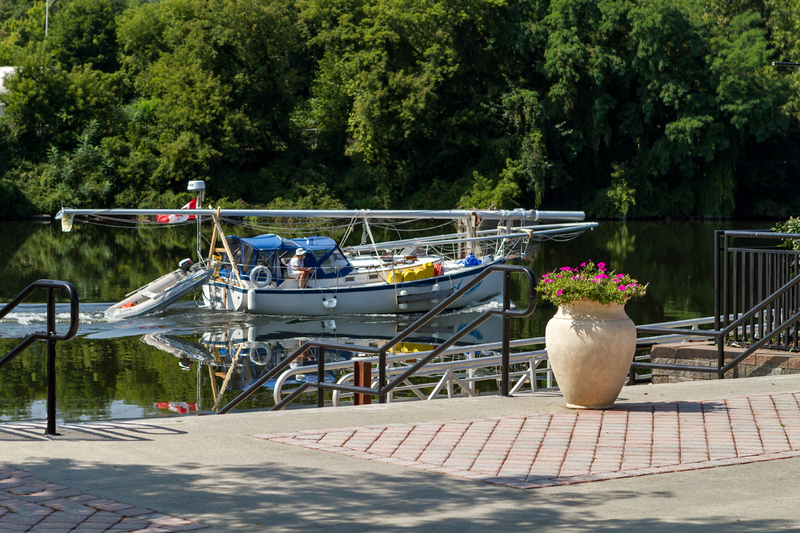 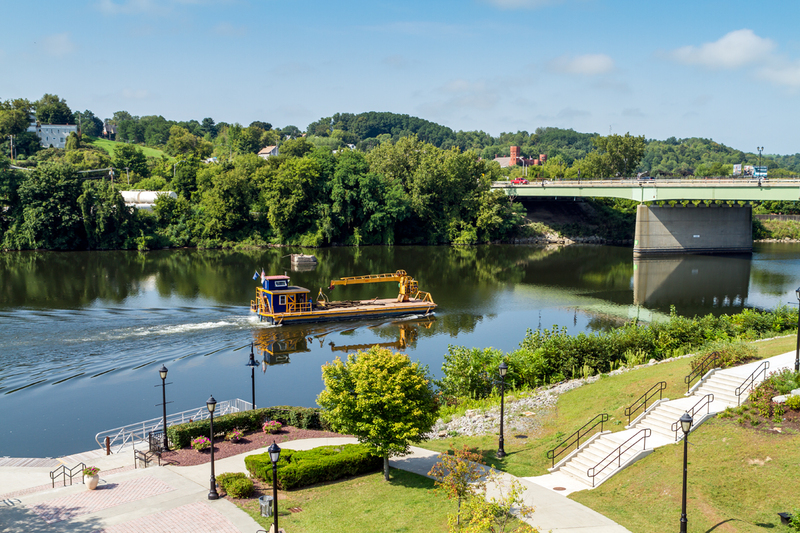 The third phase is the much debated curved pedestrian walkway that will span the Mohawk River as a park lined with benches, plantings, trees and pictographs describing the history of Amsterdam.